Solidly constructed, this TV Entertainment makes a stable perch for your television. With 2 Side Cupboards and a Drawer, it offers ample storage space to hold your essential TV equipment. This Entertainment Unit features the finest solid timber imported from Australia. It is made from Jarrah timbers, a unique hardwood well known in the world for the use in furniture. The furniture also strives to proclaim the finest in craftsmanship and make every effort in the production to maximize this valuable resource. 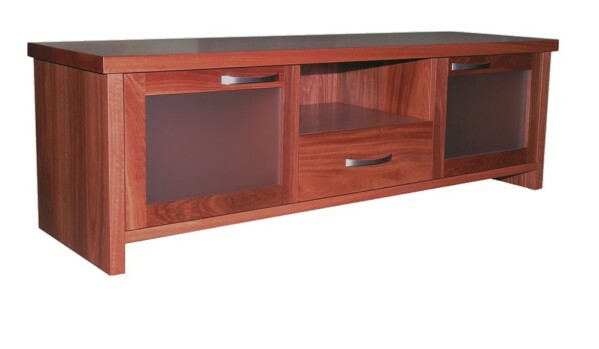 With a simple yet elegant design, this TV cabinet suits any interior setting. **Due to the nature of wood material, all wood grains on furniture may vary from images. This item will be delivered by Sheldon Systems Pte Ltd. If your order contains at least S$200.00 worth of item(s) delivered by Sheldon Systems Pte Ltd, all item(s) delivered by Sheldon Systems Pte Ltd in that order will qualify for FREE DELIVERY.